The family whose home was struck by a blaze in the early hours of Sunday morning have been named. THE YOUNG BOY who died in a blaze at his family’s home has been named. 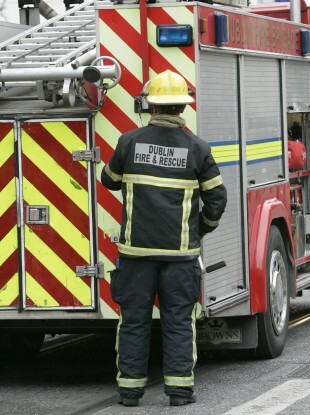 Two-year-old Cian Ellard died when a fire broke out at his home in Elm Park, Wilton, Cork, in the early hours of Sunday morning. Gardaí confirmed today that Cian passed away and that his brother, Calvin (4) and mother Stacey were all in the house at the time of the blaze. The Irish Sun reports today that Cian was found lying in the arms of his unconscious mother by fire fighters. His mother and brother Calvin are in a critical condition in hospital in Cork. Togher Community Association’s Fergal Dennehy spoke to RTE’s Morning Ireland about the tragic incident this morning. He said people in the area were extremely shocked about the tragic blaze. As a parent myself you are acutely aware that today is Halloween and it is a day really for children dressing up and knocking door to door trick or treating, and just to know the Ellard family won’t be doing that today, it’s pretty sad. He said Stacey moved to the house a year ago, and that neighbours saw smoke bellowing from the house and raised the alarm. Stacey and Calvin Ellard are currently in Cork University Hospital. Email “Two-year-old Cian died "in his mother's arms"”. Feedback on “Two-year-old Cian died "in his mother's arms"”.